We were asked by a company with whom we’d worked previously to do a new identity and rebrand; the firm had evolved from a security business to a rapidly growing technology firm. 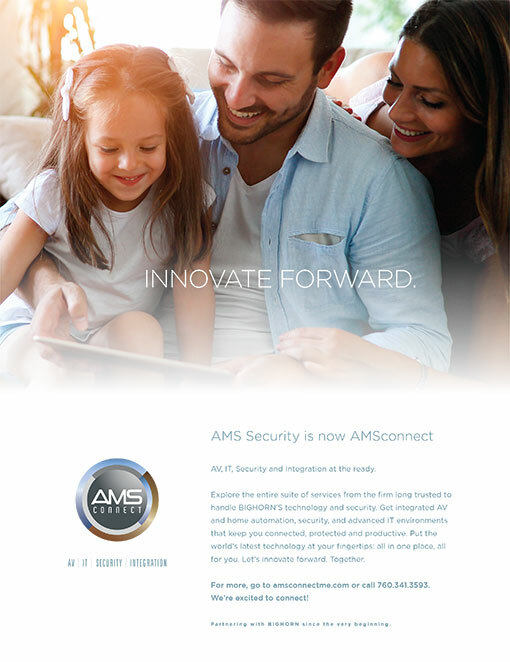 The goal was to change the perception in the market to promote the firm’s expanded offerings: an integrated suite of services including IT, AV and security. Seeking to reflect the company’s evolution, we kept the brand equity of the earlier logo, yet updated the look and feel while writing a modified brand platform to reimagine the firm’s positioning. We developed materials to convey the firm’s new service areas and its elevated purpose — improving people’s lives through technology. 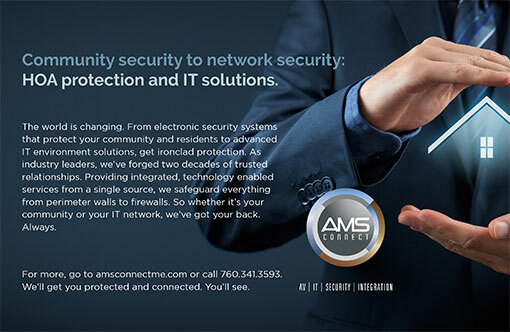 Featured were a name change from AMS Security to AMSconnect, an updated visual identity and logo mark, tagline, and new website AMSconnectme.com. We created communications targeted to the three key markets — community associations, homeowners and businesses; these included branded mailer inserts with announcements to existing clients, social media, print ads, and editorial for trade and community association publications.